The Yankees presented a natty appearance in their new uniforms of white with black pinstripes. On this day 101 years ago, the same day the RMS Titanic departed for New York City on its fateful maiden voyage, the Highlanders–they would not officially change their monicker to “Yankees” until 1913–opened their final season at Manhattan’s Hilltop Park with a sartorial slant. The traditional white uniforms they had donned since 1903 were adorned with black pinstripes. They debuted the new ensemble against the Boston Red Sox, dropping the contest 5-3. 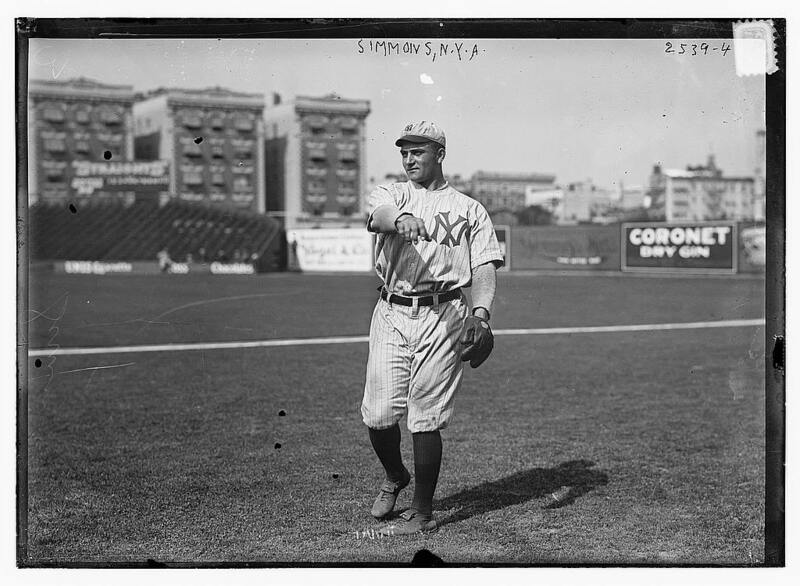 New York was not the first professional baseball team to meld aesthetics with athletics–the Cubs had taken the field at Wrigley in pinstripes since 1907–but the look would become inexorably linked with the Yankees, symbolizing all of the pride, tradition, and success that they embody. The Yankees would actually drop pinstripes from the uniform during the 1913 and 1914 seasons, perhaps because the 1912 squad finished 50-102, but the stripes would return in 1915 to become a permanent fixture of the Yankee regalia. Though the cap has undergone several changes over the last century, the legendary uniform has hardly been altered since.